How is recurrent aphthous stomatitis diagnosed? This entry was posted in Oral Care and tagged aphthae, Aphthous ulcer, Canker sore, mouth ulcer, oral cancer ulcer, oral ulcer treatment, oral ulcers, recurrent aphthous stomatitis, ulcer in mouth, ulcer treatment on April 12, 2012 by oileng. 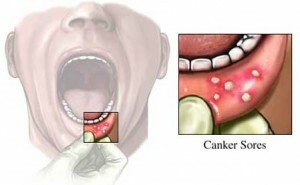 This entry was posted in Oral Care and tagged aphthae, Aphthous ulcer, Canker sore, mouth ulcer, oral cancer ulcer, oral ulcer treatment, oral ulcers, recurrent aphthous stomatitis, ulcer in mouth, ulcer treatment on April 11, 2012 by oileng.